← The Angels are getting a little bit of fame. As a child I loved picture books. I have strong memories of our reading hour in Primary school. I’m sure it wasn’t an hour but as a slow reader unless I had a short book, it felt like a very long time! The stories I chose were books with minimal text, books with beautiful pictures and books with an interesting cover. I loved Quentin Blake, Shirley Hughes and Judith Kerr. In fact I still love their books and illustrations. After we had finished reading we had to write a bit about the story then illustrate it. The shorter the book, the more illustrations I could fit in – my favourite part. 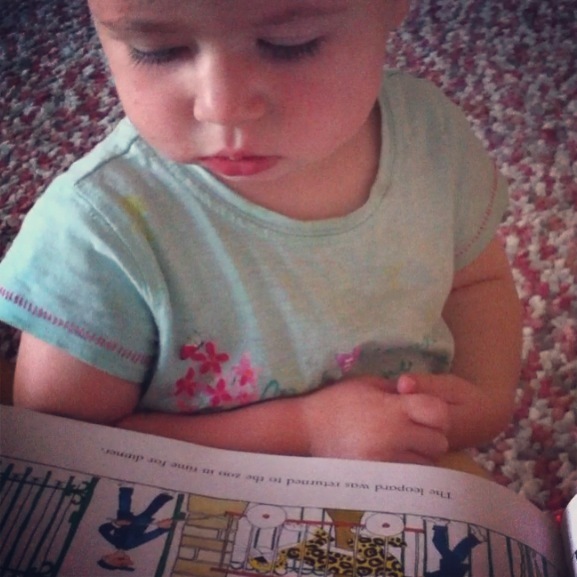 My niece is nearly two and loves books. She will sit on the floor blabbering to herself while she turns the pages then when she sees a picture she likes, she kisses it. I have had a story in my head for about a year so now (in my time of change and aim to do something new) it seems the right moment to finally bring this story to life and finally put the words and illustrations on to paper. Will a bit of knitting and sewing be involved in this strory? of course.